An inspirational Irish actress and musician has called on directors to "take more chances" and create roles for people with disabilities. Aimée Richardson has urged anyone with Down Syndrome not to let the genetic disorder prevent them from following their dreams. Busy Aimée (35) has a CV that most thespians can only dream of - she is studying in the Blue Diamond Drama Academy in Dundrum, she was the star of the popular RTE animated series Punky, she had a small role in the the critically acclaimed film The Drummer And The Keeper, plus she has twice attended the International Disability Film Festival. She also is a talented musician, she is a member of the Dublin Ukulele Collective and the group have gotten through to the upcoming live shows of Ireland's Got Talent. 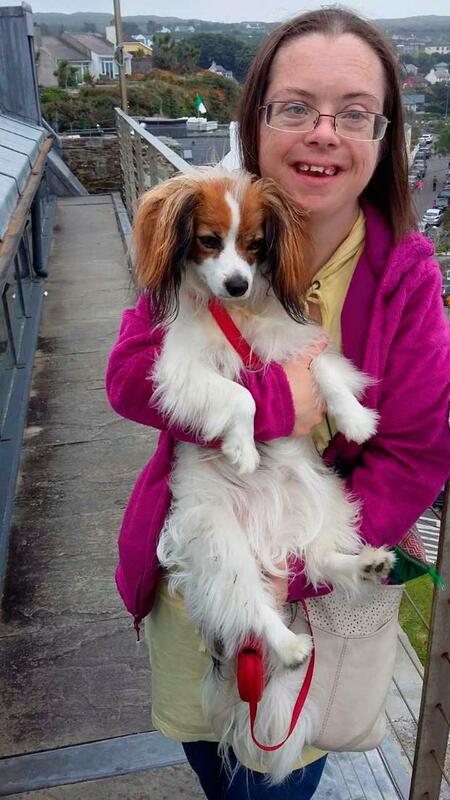 Aimée, who lives between her parents' homes in Glasthule and Kiliney in Dublin, said that she feels there should be more opportunities for people with Down Syndrome. She told Independent.ie: "I think it would be good if there was more diversity in entertainment and people with disabilities were better represented. "I would like if more writers would create real roles for people with disabilities, even in stories not about disability. "Directors in film, TV, radio and theatre must take more risks and give more chances to people with disabilities, who have studied and worked hard at their art, because they will be enthusiastic, hard-working and dependable." Her proud father Peter added: "What Aimée may lack in intellectual sharpness, she makes up for in effort, commitment and determination. "Teachers and tutors have all told us that." Read More: How my cousin Aimée, the first Down's TV star, made me smile through the tears. 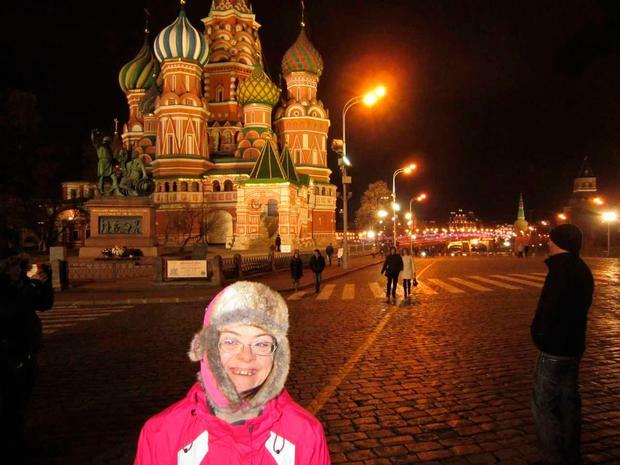 . .
Aimée and Peter recently returned from the International Disability Film Festival in St Petersburg, having first been invited to speak at it when it was held in Moscow in 2014. 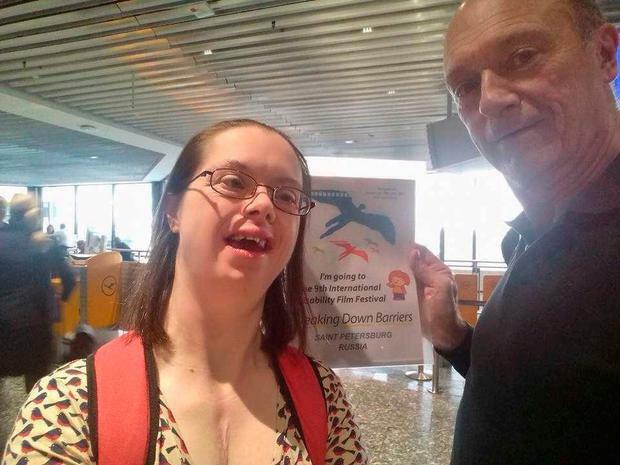 She said: "I met the woman who organises the International Disability Film Festival when I was performing in Belfast and she was very interested in me because I have Down Syndrome. "She was very encouraging and in 2014 she invited dad and I to go to the festival in Moscow, I spoke about my voice-over work and I got to play some Irish music. "There were people there of different nationalities who had different disabilities, it was very interesting to meet them and quite moving. "It was very well organised and I really enjoyed it." Aimée also credits her mother Natalie Connolly for helping to encourage her passion for music. She said: "I would love the idea of winning an Oscar and to do more movie work, if I'm ever asked again. 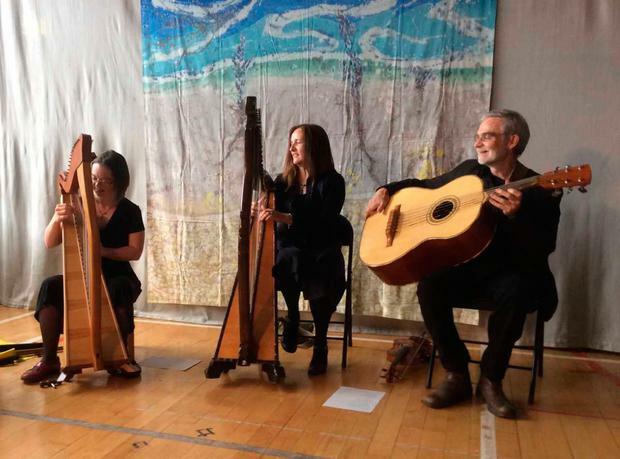 "Music is also a big part of my life and I want to continue to compose and play traditional Irish music - I play the harp, the flute, the bodhran and tin whistle." She auditioned recently with the Dublin Ukulele Collective for Ireland's Got Talent and their version of Coolio's hit Gangsta's Paradise saw them sailing through to the live shows. Aimée is urging anyone else who has a disability or genetic disorder not to let it hold them back. She said: "I would tell anyone with Down Syndrome to enjoy the abilities you have, take part in any activities that come your way, like I do, keep your eyes open for new opportunities and just enjoy life. "Having Down Syndrome doesn't stop me from doing what I want to do, having Down Syndrome is like having a travel pass that takes you from one opportunity to another." How my cousin Aimée, the first Down's TV star, made me smile through the tears. . .